Credit card over the phone / fax may be accepted as long as the details are verified. Details such as Drivers License, Telephone Directory Listings and other forms of ID may be used for verification. Pickup will be from the Mount Gravatt Super store as most items are stocked there. Pick ups can be arranged from Geebung Office with prior arrangement. 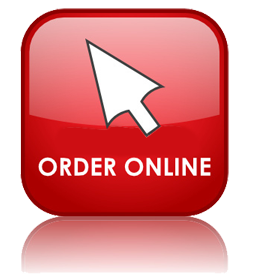 Cancellations for assembled system orders will incur a 15% cancellation fee. This is to account for the labor cost and administration cost for procuring parts and organizing the transaction. Software Products & Ink Cartridges are excluded by this policy and may incur a higher fee on discretion of the store manager. The goods supplied are faulty, incorrectly described or advertised, different from the sample shown to the client, do not don�t do the job you were led to believe they would or don�t last a reasonable amount of time, given the price you paid. If item(s) received is not what was ordered please do not open the sealed package in which it was sent. Any attempt to use the incorrect item will be deemed to be acceptance by the customer of the item(s) as a satisfactory substitute for the one that was ordered and no further claim can be raised thereafter. Refunds for some items will be at the current market price - not at the original purchase price. This is due to rapid depreciation of computer part costs.